Prof. David Levinson teaches at the School of Civil Engineering at the University of Sydney, where he leads the Network Design Lab and the Transport Engineering group. He is an honorary affiliate of the Institute of Transport and Logistics Studies, where he is also a member of the Board of Advice. He also serves as an adjunct faculty in the Department of Civil, Environmental, and Geo- Engineering at the University of Minnesota, where from 1999 to 2016, he served on the faculty. He was Managing Director of the Accessibility Observatory, and directed the Networks, Economics, and Urban Systems (NEXUS) research group. He held the Richard P. Braun/CTS Chair in Transportation (2006-2016). He also served on the graduate faculty of the Applied Economics and Urban and Regional Planning programs at the University of Minnesota. In academic year 2006-2007 he was a visiting academic at Imperial College in London. He received the 1995 Tiebout Prize in Regional Science for the paper “Location, Relocation, and the Journey to Work”. From 1989 to 1994, he worked as a transportation planner, developing integrated transportation and land-use models for Montgomery County, Maryland. He then applied those models for multimodal network planning and growth management. 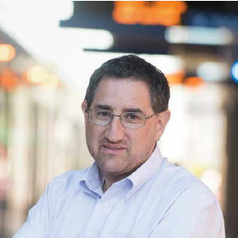 Levinson has authored or edited several books, including Elements of Access, Spontaneous Access, The End of Traffic and the Future of Access, The Transportation Experience, and Planning for Place and Plexus, as well as numerous peer reviewed articles. He is the editor of the Journal of Transport and Land Use.